George Rammell, Day 13, May 20, 2014– Day 13 of the art seizure of Blathering On in Krisendom at Capilano University and I want answers. What does the vice-president Cindy Turner mean when she says my piece has been dismantled? Cindy, you were responsible for the destruction of our protest banners last Spring, (as if we were not allowed to voice our concerns about Bulcroft’s illegal cuts),we never received an apology or compensation. Is this a repeat of last year? It’s becoming apparent that the Board at Capilano University is now realizing they do not have the authority to seize or damage my art. Why have the RCMP been told this is just an internal matter, as if I’m guilty of insubordination. This is theft and I’ve lost valuable Professional Development studio time, I have every right to complete that work in the Studio Art studios. I have other exhibition plans for that work. The wrongful firing of a single professor at the University of Sask. is pale compared to the illegal gutting of entire programs at Cap. that cannot be restored in this economic climate. 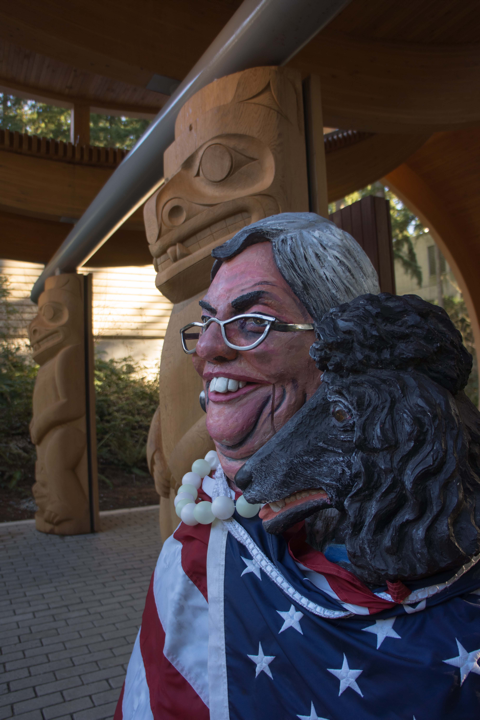 There are a few dedicated faculty on the Capilano U Board who are attempting to save our institution, but they can only do so much when the rest are asleep at the wheel. Is Bulcroft going to waste more of Cap’s dwindling financial resources to appeal the BC Supreme Courts ruling that she violated the University Act by planning cuts without due process? Shall we buy her a ticket to Blaine?